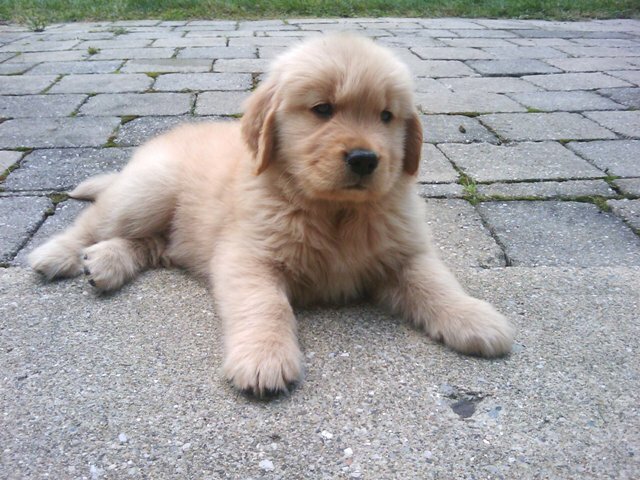 one:: Moose was the golden retriever puppy I got my senior year of college. He was so unbelievably loveable and sweet - he quickly became the love of my life. I spent years saving up for him, and was so excited the morning I got him. Timing wasn't right for me, and I wasn't able to provide the home he deserved. It absolutely broke my heart the morning I called his breeder and took him back to stay with his dog family. He found his forever home just a day later, and I'm sure he's now happily running around somewhere with a big yard and a tennis ball. There's still a little hole in my heart with his name on it, I miss him dearly. I still think about him a lot actually and it takes everything in me not to cry when I think of him. four:: I think I have a good sense of style, but I don't think my clothes reflect that at all. It's funny, really. I think I have an eye for fashion, just not for myself. A constant work in progress, I suppose. five:: I'm taking this blogging e-course through one of my favorite blogs, A Beautiful Mess, and it is so darn inciteful. I'm learning so much and am really excited for the future of this little blog of mine. Look for future feature segments on a regular basis. I've really got my thinking cap on!